The Durant Condominiums offer ski-in acces from Aspen Mountain. 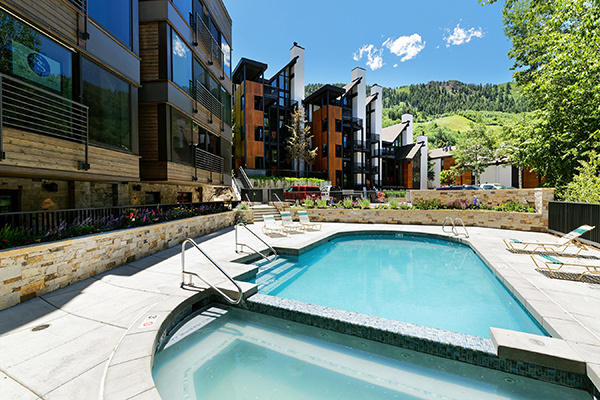 Guests enjoy the convenient location of these Aspen condo rentals, situated only two blocks from the Silver Queen Gondola and even closer to downtown Aspen. Most Durant condo units feature floor-to-ceiling windows with mountain and town views. Other unit features may include upgraded kitchens and bathrooms, air conditioning, a fireplace, washer/dryer, and flatscreen TVs. 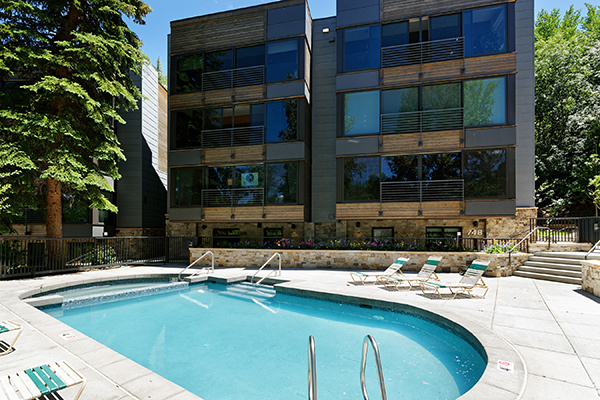 Complex amenities include complimentary Aspen Airport transfers, a newly renovated on-site heated pool and hot tub, common-area outdoor grill, on-site free parking, and free Wi-Fi. Guests who book luxury accommodations at the Durant Condominiums receive complimentary on-demand in-town transportation. Durant Condominiums are located at 748 S. Galena Street. Guests check in at the Fasching Haus at 747 S. Galena Street.